"Welcome back folks, I’m Larry Kudlow, pleasure to be back with you. Old friend of mine, one of Wall Street’s absolute top number one economic and investment strategy forecaster. 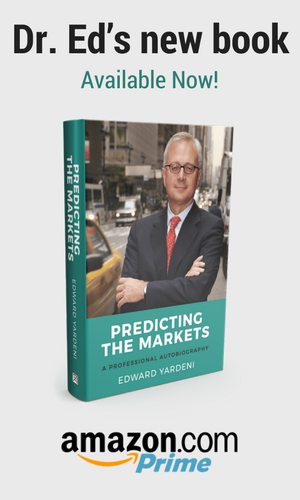 He’s got a new book out, I’m talking about Dr. Ed Yardeni, President now of Yardeni Research (that’s Yardeni.com), previously economist with Federal Reserve Bank of NY and the US Treasury. I want to say that Ed Yardeni and I were I don’t know what we were, friendly rivals, but mostly friends. Down through the years 1980s, 1990s there were three names at the top of the list of Institutional All Star Team going back. One was Ed Hyman, the other was Ed Yardeni and the other one was a wacko named Larry Kudlow, so you are going to get some great stuff here. Ed has a new book, called Predicting the Markets: A Professional Autobiography."